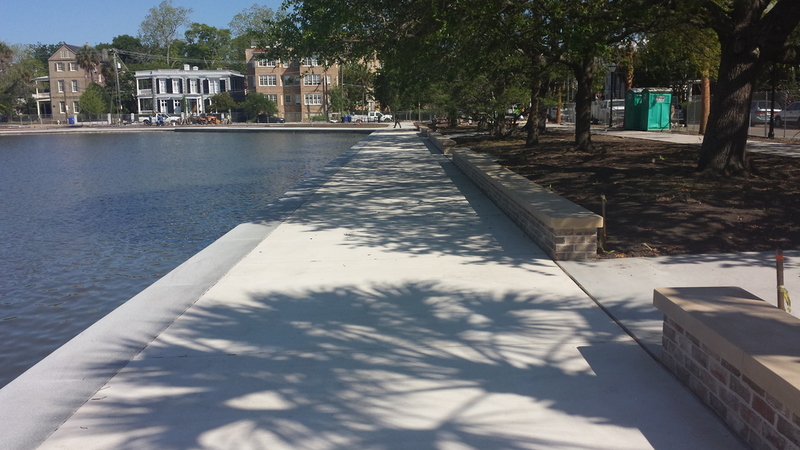 The ADC civil and structural departments have teamed with DesignWorks and the City of Charleston for a $4 million refresh of Colonial Lake in downtown Charleston. This man-made tidal lake was called Rutledge Street Pond when it was created in 1869. The lake was originally a mill pond used to power saw mills. It was renamed Colonial Lake in 1881 and the park around the lake was developed sometime in the late-1800s. Since then, little has changed. ADC’s structural department studied the overall stability of the aged wall structure and provided guidance on repair and revitalization options. ADC civil redesigned the surrounding streets to allow for additional park hardscape and landscape area. 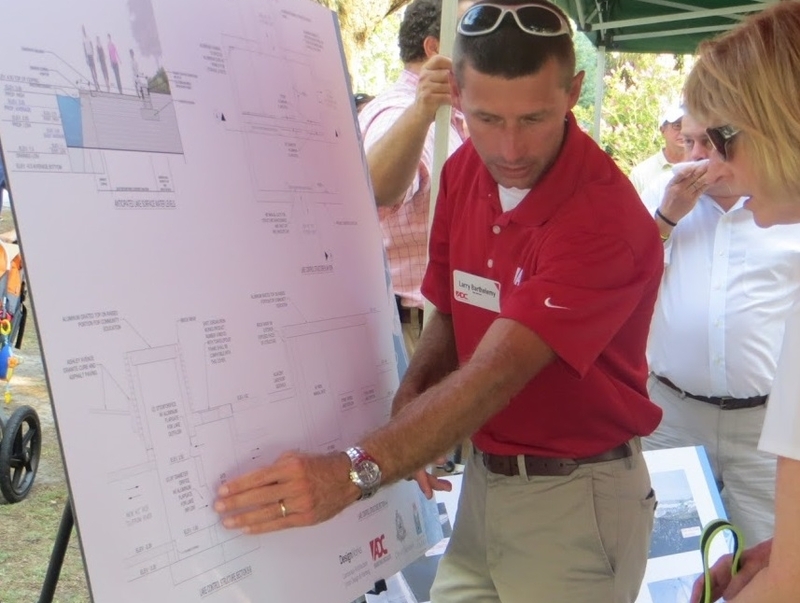 The project also included increasing water circulation and depth within the lake.